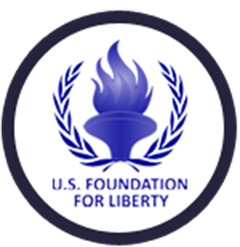 The U.S. Foundation for Liberty is a non-profit, 501 C 4 volunteer organization formed by U.S. citizens of Iranian descent, and is a sister organization of U.S Foundation for Liberty and human rights. Many of the volunteers themselves have been victims of Iranian regime’s brutality. Having experienced firsthand the abuse of their rights, these volunteers have been inspired to promote and advance the human rights in Iran, the rights of Iranian women, youths and victims of human rights violations as well as refugees, who have fled the repression inside Iran. The Foundation has had many projects dealing with the resettlement of political refugees in third countries. In one it is most difficult, complex, but successful campaigns, it helped complete the transfer to Albania of thousands of residents of Camp Liberty, Iraq, in 2016. These refugees were designated as ‘asylum seekers’ and ‘persons of concern’ by the UN Refugee Agency (UNHCR) and as ‘protected persons’ under the Fourth Geneva Convention by the United States. They used to live in Camp Liberty, Iraq, near Baghdad International Airport. One third of the residents were political prisoners and an equal number are women. They fled persecution in Iran and took refuge in Iraq in the 1980s. The Iranian regime views these dissidents as an existential threat and is thus plotting to annihilate them. The residents were repeatedly attacked by Iraqi security forces at the behest of Tehran, resulting in over 140 murdered and some 1,400 wounded in several deadly assaults. They were also denied badly-needed medical treatment which led to the deterioration of their health conditions. Due to medical deprivation in Iraq some of their disabilities have become permanent. Now that these dissidents have resettled in Albania, the USFLHR is working to help them with food, shelter, medical care and other needs. One of our major, and perhaps most expensive, projects is to provide for their medical care as many of the injured refugees are now in hospitals in Albania and need urgent medical care, including major surgery. Another major project is find them permanent housing because the UN Refugee Agency has given the residents until December 31, 2017, to vacate the buildings it had provided to them to stay at temporarily. This task is an extremely difficult one because despite promises by the UN that the residents would be allowed to sell their properties in Iraq, the Government of Iraq reneged on that pledge and confiscated all their moveable and immoveable assets.